Axis Forex Online, in addition to online outward remittance, would also provide door step delivery of forex cards and foreign currency cash, the same day to all resident Indian individuals. 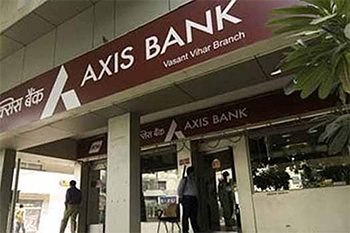 Axis Bank, market leader in travel currency cards, today announced the launch of ‘www.axisforexonline.com’, India’s first comprehensive online retail forex solution to empower customers to transfer funds online in more than 100 plus currencies across 150 countries. Axis Forex Online compares favorably with existing alternate options available for outward remittance on virtually all parameters – ease, speed, efficiency and cost effectiveness. The remittance procedure is a simple three step process – register oneself, register the beneficiary and make payment online. Once the one-time self-registration is completed and verified, the user can register multiple beneficiaries and effect money transfer instantly. An existing customer can also use the online outward remittances facility via Axis Bank Internet Banking and transfer money from any Bank account in India to any Bank around the world. Education, Family Maintenance, Leisure & Travel, Medical and Health care have been observed to be the segments widely used for foreign currency outward remittance. Axis Forex Online will allow users to remit upto USD 25,000 in a single transaction and limit the retail outward remittance to USD 250,000 per annum.